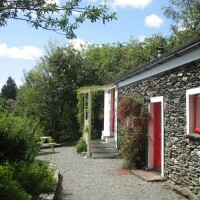 Welcome to Four Directions Cottage which, as the name suggests, has magnificent views in all directions. 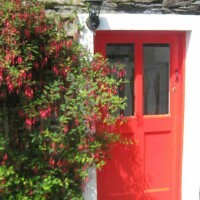 From the cottage you can overlook Bantry Bay, the Sheep's Head Peninsula, Bere Island, Bear Haven, the Atlantic Ocean and behind the cottage, the majestic Hungry Hill, featured in Daphne du Maurier's novel. 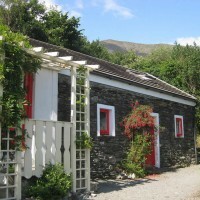 Relax in an original, secluded, traditional Irish cottage facing due south with it's own private entrance drive and gardens on the beautiful, unspoilt Beara Peninsula. 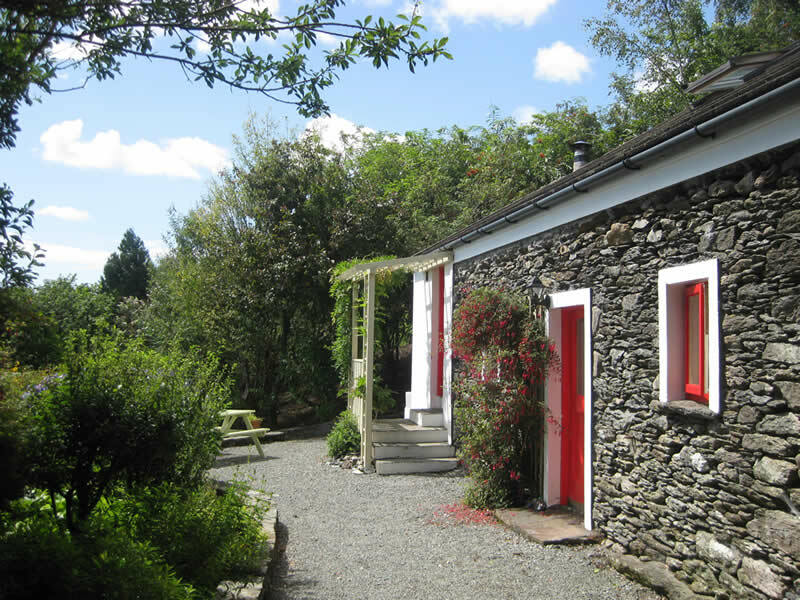 The fully equipped self-catering cottage, which is deceptively spacious, sleeps 2/4 and has been tastefully renovated to meet today's standards and comforts while retaining all its charm and individuality. 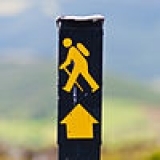 On arrival you will find a welcome pack of soda bread, marmalade, eggs, tea, coffee, milk and sugar. 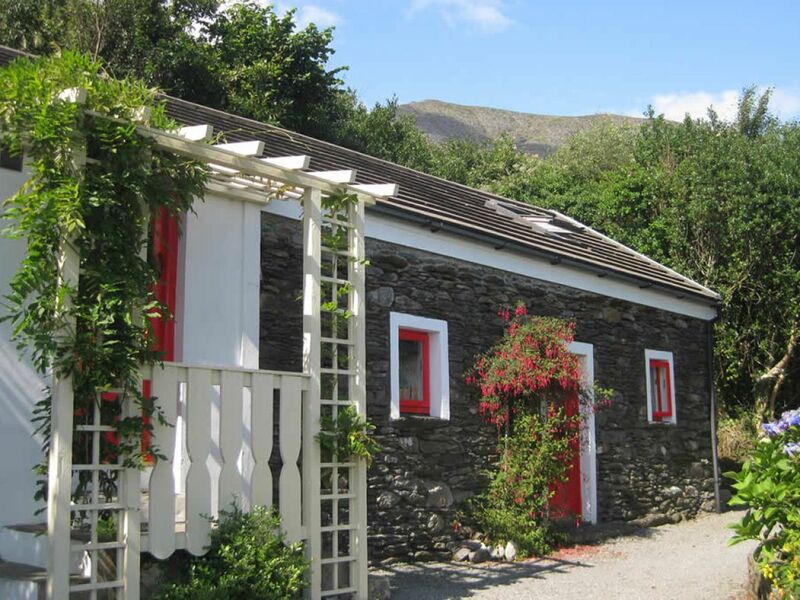 The cottage, which is open all year round, is in an ideal location to enjoy the many activities of the area, walking, cycling, golf, fishing, watersports, sight seeing and is on the Beara Way Walking and Cycling Route. 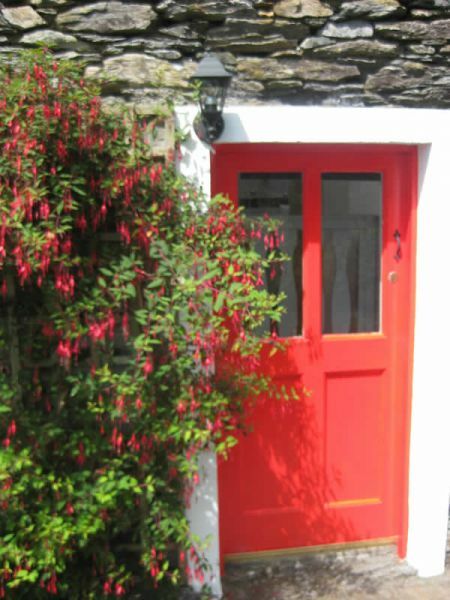 You will find so much of interest in Castletownbere, Kenmare, Glengarriff, Adrigole, Bantry, Allihies and Eyeries all within easy reach of the cottage. 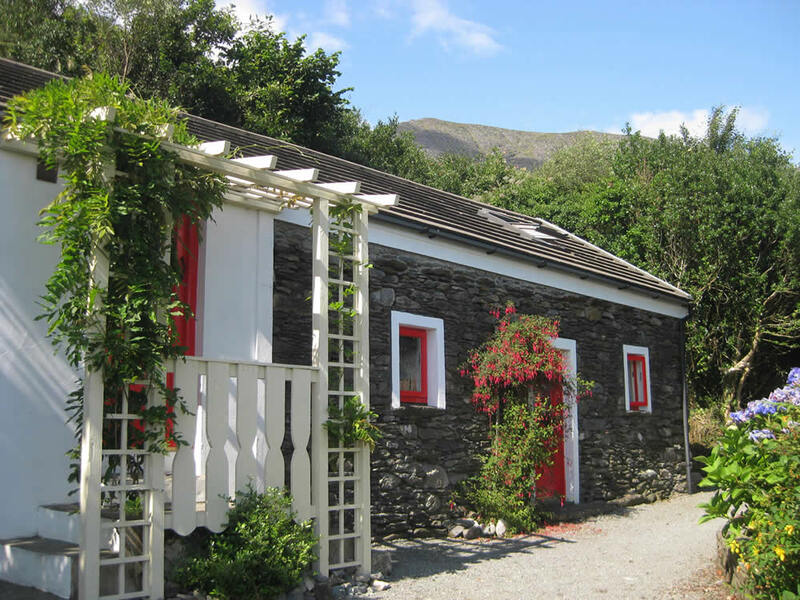 Visit the famous McCarthy's Bar from Pete McCarthy's book, the Dzogchen Beare Tibetan Buddhist Retreat, Allihies Copper Mine Museum, The Italian Garden on Garinish Island, the many art galleries and beautiful beaches.